This extra thick and comfortable range of cushions is boxed with a double piped edge. 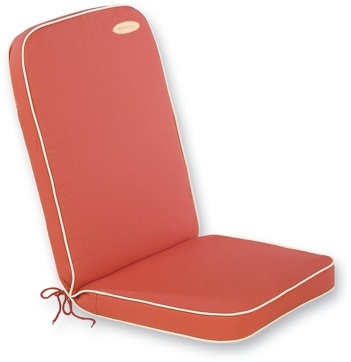 A detachable pillow is supplied with the Recliner, Seat Pad with Back and Seat Pad with Back cushions. This can be used as either a headrest or lumber support.